Edibility – 2 – Severe alergic reaction may occur if alcohol is consumed 48 hours either side of eating (hence sometimes known as tippler’s bane!). Flimsy and not as good to eat as shaggy inkcaps. 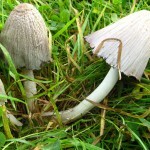 Identification – 3 – Fluted, fragile light to dark grey/brown bell shaped caps, up to 3-6cm diameter, often splitting at rim; gills start pale then quickly blacken. 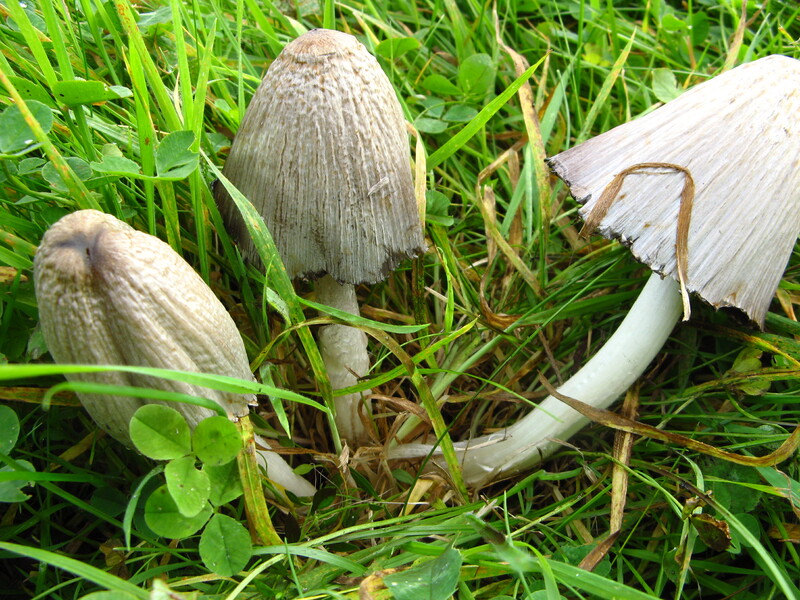 Distribution – 3 – In my experience, not as common as shaggy inkcaps. Often in large trooping clusters. Habitat – Gardens, verges, fields, often in urban environments. 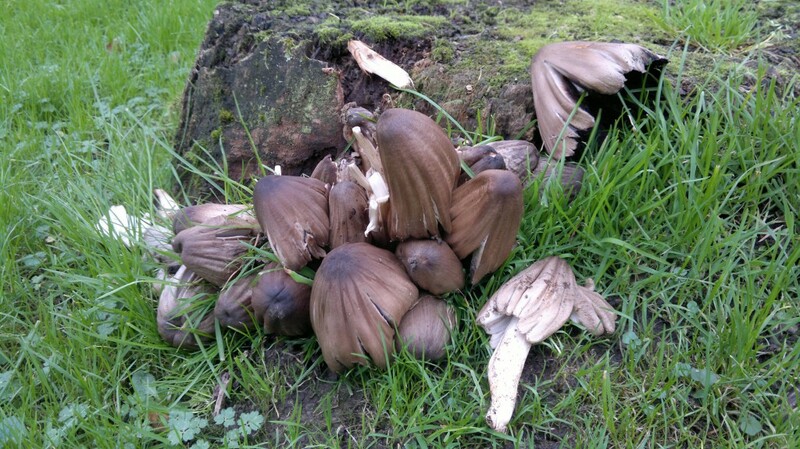 Commonly growing in association with dead, buried wood. I have never eaten this mushroom, probably never will. All reports tell me that it really isn’t worth sobering up for….